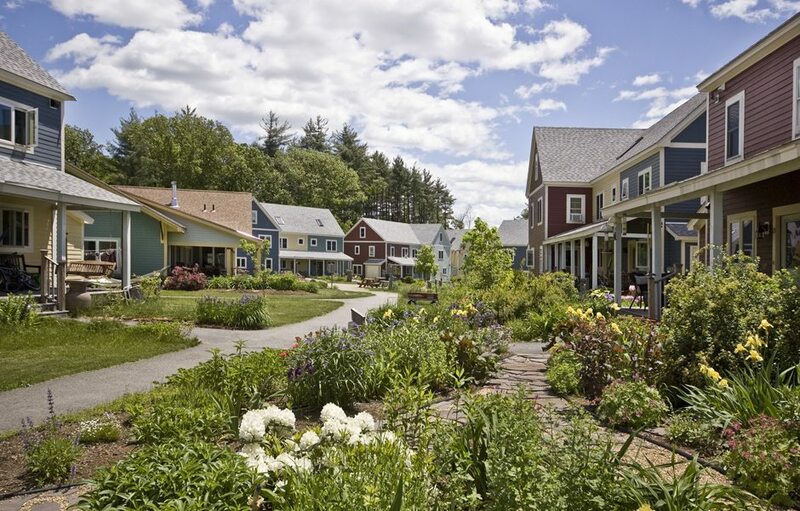 Sawyer Hill (completed in Summer 2009) is a first of its kind: two cohousing communities on a single, jointly developed site. As a 40B permitted project, it also provides 18 affordable units. 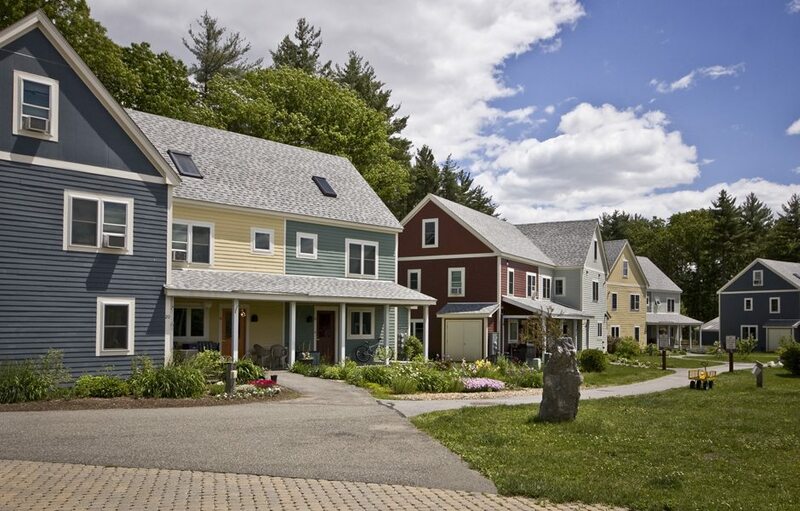 To ensure that both communities worked together and that cohousing and green design principles were applied throughout the site, Fitch Architecture & Community Design was retained by the joint development entity as Master Planner for the project. 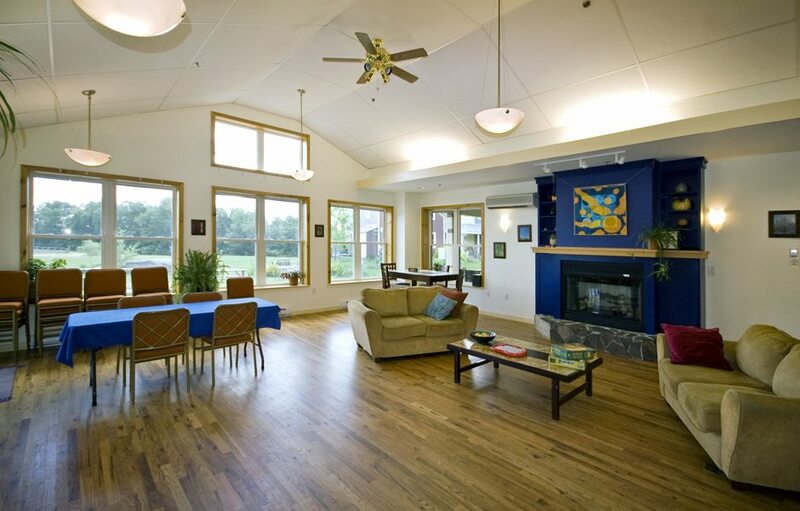 Each individual community was responsible for the design and development of their respective 34 units on 3-acre footprints. 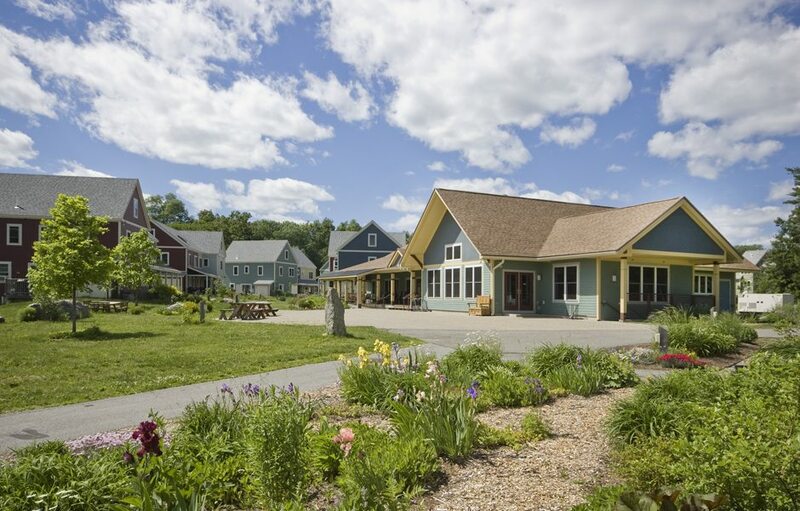 While they share many resources (overflow parking, open space and some common buildings), they chose to be architecturally distinct from each other. 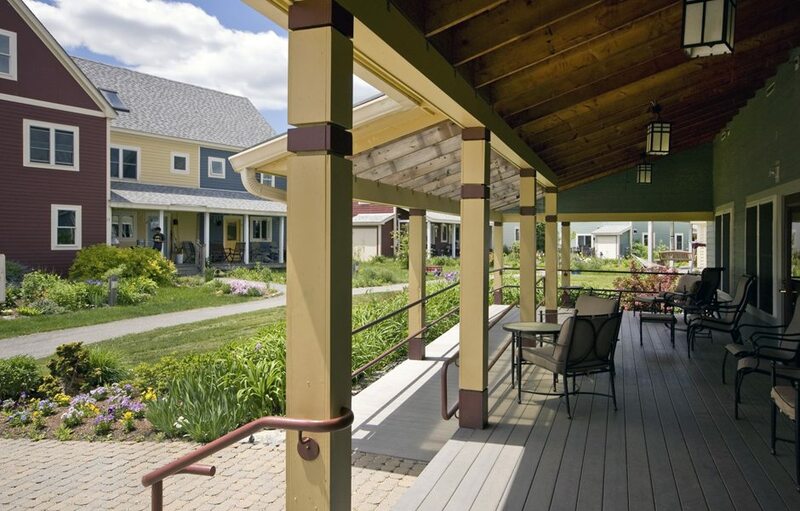 Fitch Architecture & Community Design provided full service architectural design to Mosaic Commons, including details for super-insulation of the building envelopes.